The BCC is one of the most beautiful small sailing vessels on the water today. Take a stroll through the local harbor and you'll see countless, sleek-looking sloops with their gleaming fiberglass hulls and sparse teak accents. A quick look below decks on many of these boats have a modern feel, with wide open floor plans, spacious V-berths, and huge, bright windows. 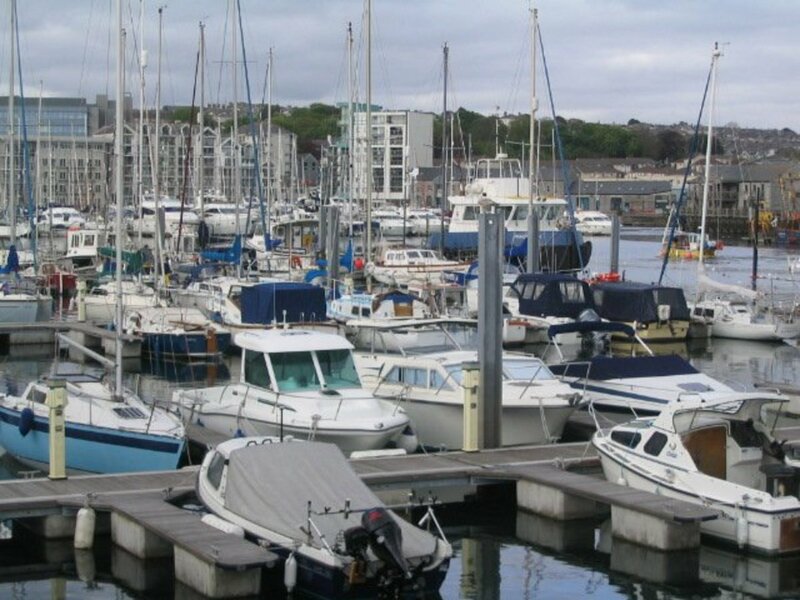 But, if you're lucky enough, you'll stumble upon one of the modern gems in the sailing industry, the 28 foot Bristol Channel Cutter. While she's still made of fiberglass like most of her contemporary counter parts, the BCC looks and feels like an old, wooden english work boat. Its long bowsprit and wide decks make this stout little boat look three times larger than she actually is. The amazing thing is that she sails like a much larger vessel as well, and her floor plan is amazingly functional, if not "traditional." The BCC is such a unique and amazing boat in today's market that she turns heads wherever she sails. 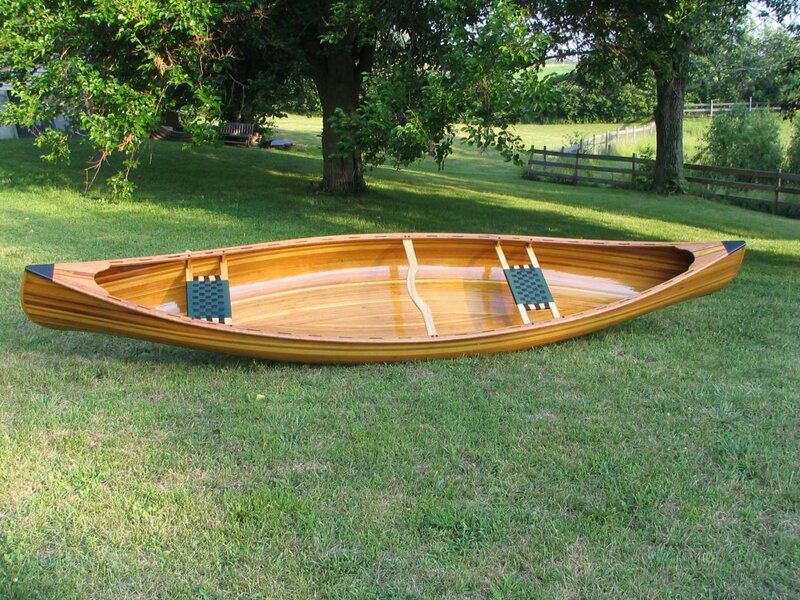 The designer of the Bristol Channel Cutter is none other than the legendary Lyle C. Hess, who is known for his ability to make small boats that are stable, safe, beautiful, and above all seaworthy. Lyle C. Hess designed the Bristol Channel Cutter with one thing in mind - creating a cruising sailboat in a small, manageable package without sacrificing an ounce of seaworthiness. He branched away from what of the other boat manufactures were creating. Most other boats being built were made for the yacht clubs with recreational racing in mind. They had to adhere to class specifications. As the small sailboat crowd turned more towards weekend trips and local regattas, the need for small purely cruising sailboats diminished. 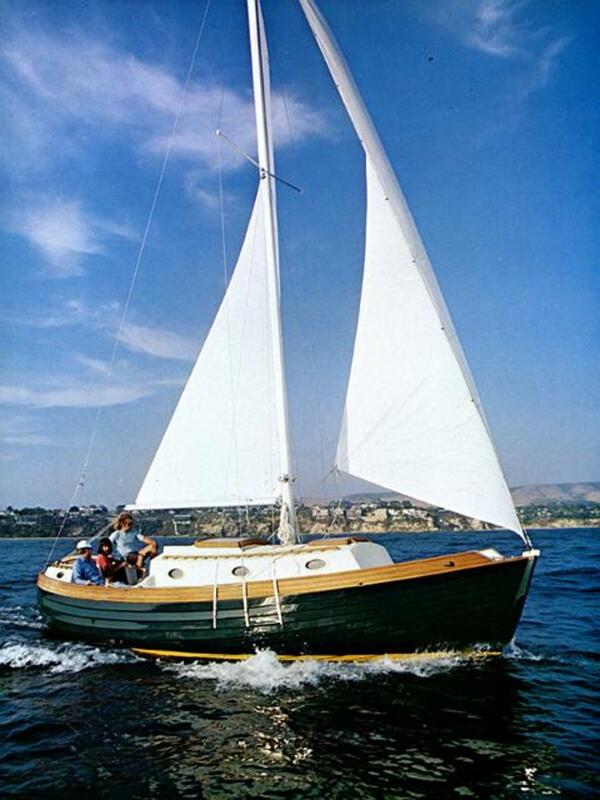 But Hess had some clients who wanted a small production cruising sailboat, and he delivered with the BCC. Lyle's inspiration came from the old British pilot boats from the turn of the century. These boats had to withstand the rigors of the English Channel in any weather. 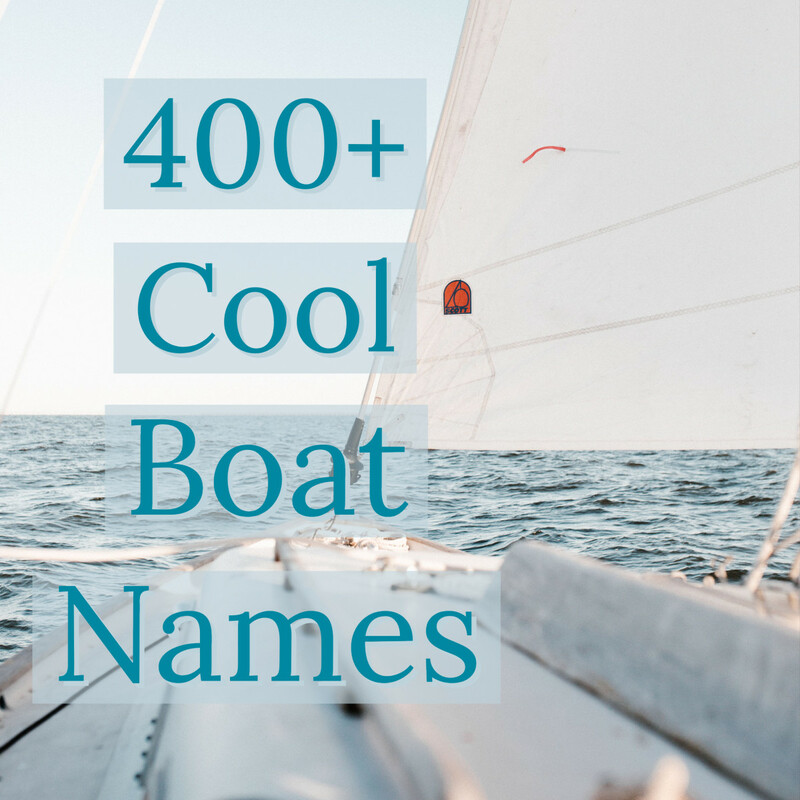 The evolution of the boats created a fast, seaworthy, easy-to-handle, and robust vessel able to survive even the toughest conditions. Hess took these principles and improved upon them, and shortly after her introduction in the 1970s, the BCC become an instant classic. Originally manufactured by the Samuel L. Morse company in California, the BCC is still being produced, only now by Cape George Cutters in Port Townsend Washington. Her quality has maintained the same high standards for her entire run, and even today there are few, if any, known errors - even with the older boats in the fleet. With such classic lines, you can almost feel transported back to the days of the working sailboat. The Bristol Channel cutter is very traditional in her layout - even though her layout is very different than what most people would expect. And, because she was offered as a kit, there are some custom interior layouts floating about, although most people chose to stick with the factory layout. Directly down the companionway there is a nice galley with a gimbaled stove and burners. Extra counter space is available by a folding section that attaches to the nav table. The port side settee can pull out into a double berth, and the table is foldable. To the starboard side there is a spacious pilot berth, nav center, and then the starboard settee. 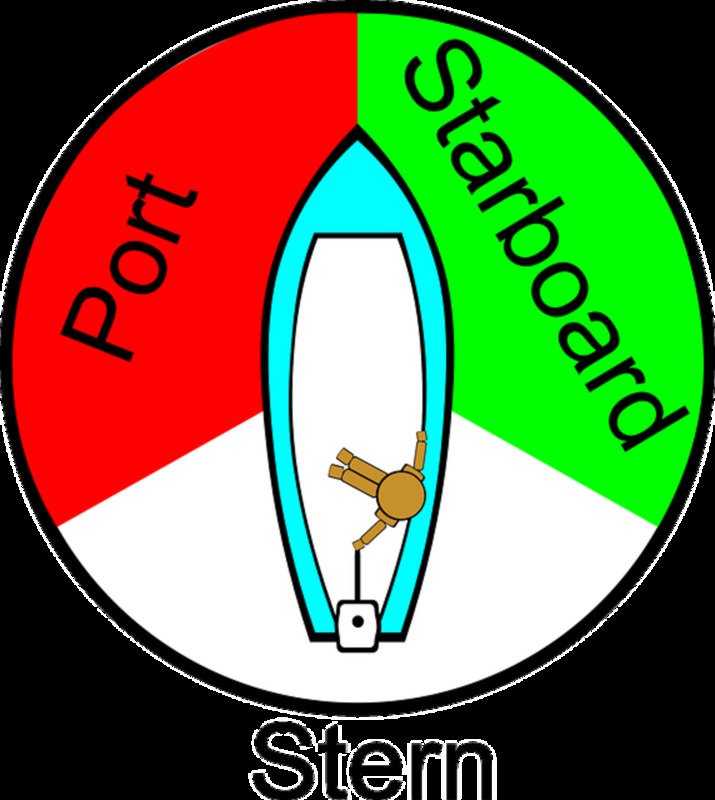 Forward is the head, where the V-berth is on most boats. The interior is absolutely spectacular with standing head room almost throughout. A raised hatch provides the ability to stand up even in the head! All the woodwork in a BCC glows, and most have taken advantage of the small counter space forward of the starboard settee to install a cabin heater (remember, this boat is fashioned for the chilly waters of the English Channel). 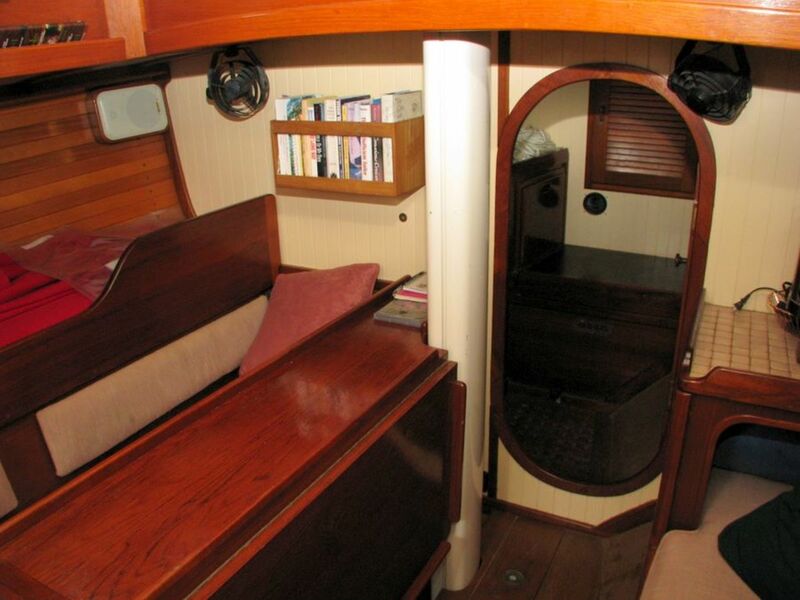 You won't feel like you're in a glass boat while staying cozy below decks ... everything screams wooden elegance. The BCC really shines when you are able to walk and work up on her decks. Her wide, mostly flat surfaces give a feeling of stability and confidence when working with sails. Her small cockpit, while not the best for entertaining, gives a sense of security in rough weather. She even has trunks built in on-deck for propane tanks which, on many models, are tubed and connected straight to the interior of the boat ... no unsightly tanks on deck! 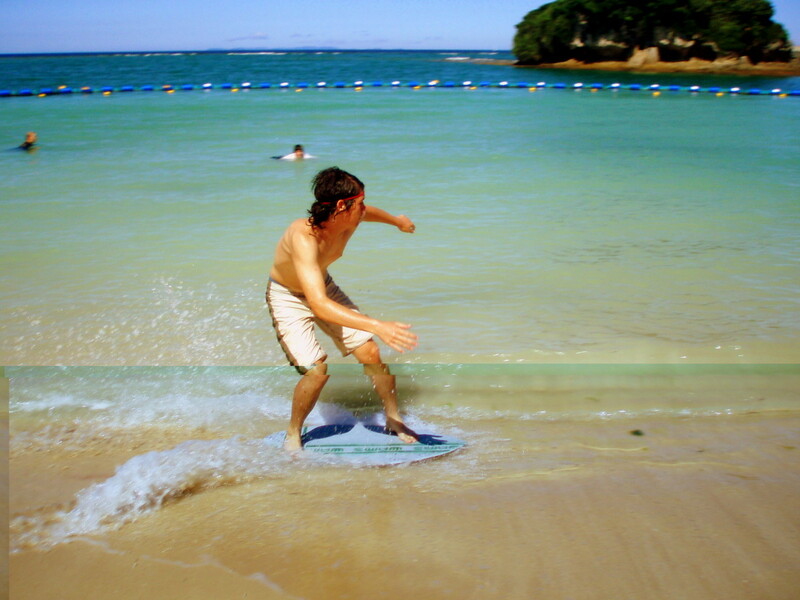 The BCC has high, beautiful bulwarks which help provide sure footing and keep you from losing loose items in a swell. 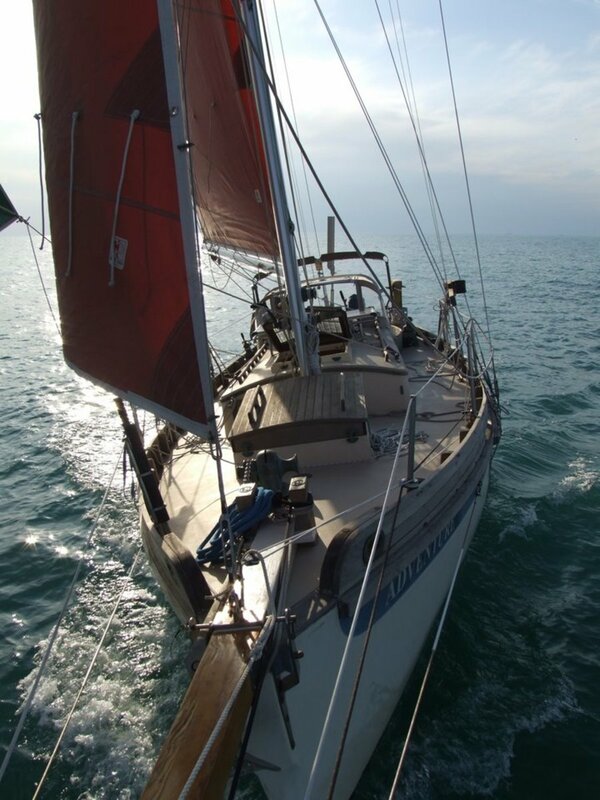 And the sailing rig (as the name suggest) is that of a cutter - easy to manage by a couple or the lone single-hander. Top it all off with tiller steering attached to a robust rudder and a full keel ... you can see why this little boat feels like a giant when the wind picks up. 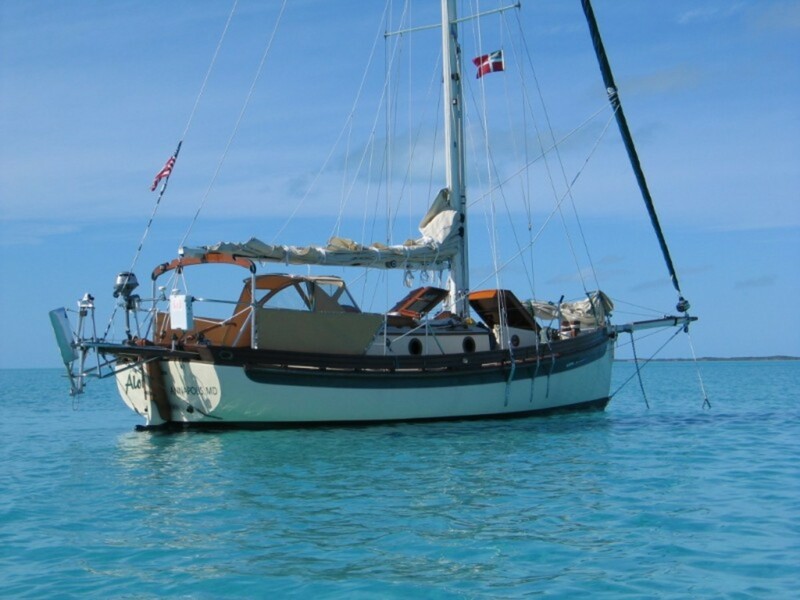 No other 28-foot sailboat is easier to sail, handle, live aboard, and get you to far away destinations than a Bristol Channel Cutter. 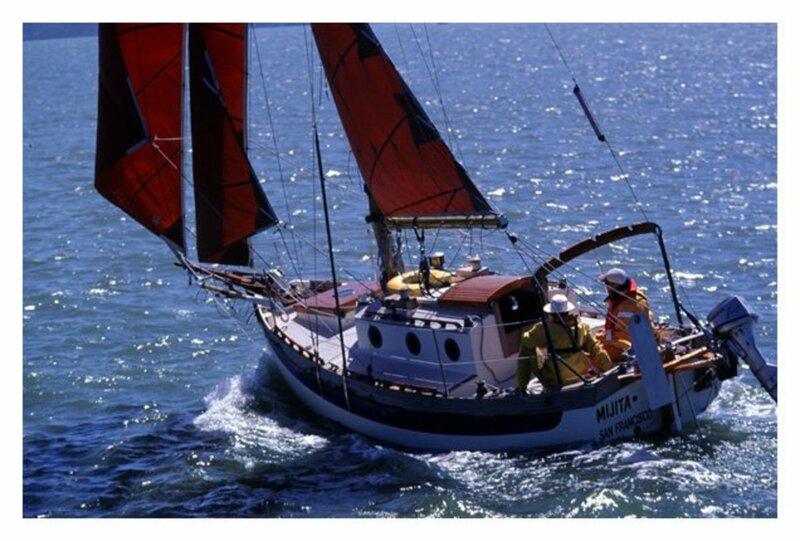 If you have ever considered living a simple life on a sailboat - there truly is no better vessel out there than the Bristol Channel Cutter. She may not be as big as some other "cruising" boats - but she's got it where it counts; ease of sailing, seaworthiness, and security. The only downside is that all of these things do come with a price ... quiet a hefty one. The BCC, brand new, can cost $350,000 ... which is by far one of the most expensive 28 foot boats on the market. But - as they say - you get what you pay for! Be Part of A Modern Adventure Adventure Aboard a BCC! Follow the BCC Elizabeth while her two co-captains, Teresa and Ben, embark on a journey to explore simple living and encounter an iceberg in the north sea this summer! I do indeed love the express 27 as well! I plan on doing a few hubs on worthwhile small cruising boats and I just added that to the list. Thanks!